3 stars for a well thought out thriller. The House on Pine Street is written and directed by Aaron Keeling and Austin Keeling (I.Q.) and won Best Feature Film at both Kansas International Film Festival and New Orleans Horror Festival. 5 stars for this thoroughly gripping documentary. Boys, Girls and Big Ambitions. 4 stars for this found footage film with an elegant twist. 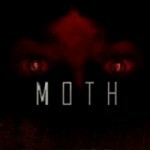 Following on from the success of their 4 star found footage horror, Bodom, which was the first of it’s kind in Hungary, the directors Gergö Elekes and József Gallai have revisited the genre with Moth, a tense and cautionary tale, once again set in a remote corner of Hungary. Ghosts, Corruption and Martial Arts. Eureka have taken an extremely influential film in its genre and given it the 4K restoration as well as the original score, also a bonus disk of interviews and a documentary and a booklet. 4 stars for this excellent and very scary psychological horror. Last Shift is written and directed by Anthony DiBlasi (Dread, Cassadaga) and is a master class in building tension and fear.